The Gathasaptasati is perhaps the oldest extant anthology of poetry from South Asia, containing our very earliest examples of secular verse. Reputed to have been compiled by the Satavahana king Hala in the second century CE, it is a celebrated collection of 700 verses in Maharashtri Prakrit, composed in the compact, distilled gatha form. The anthology has attracted several learned commentaries and now, through Arvind Krishna Mehrotra s acclaimed translation of 207 verses from the anthology, readers of English at last have access to its poems. The speakers are mostly women and, whether young or old, married or single, they touch on the subject of sexuality with frankness, sensitivity and, every once in a while, humour, which never ceases to surprise. 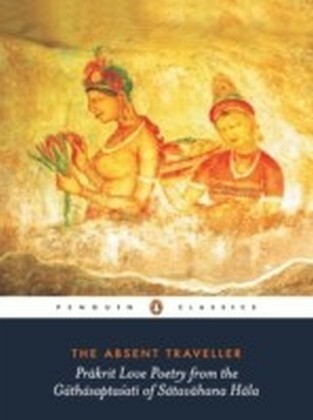 The Absent Traveler includes an elegant and stimulating translator s note and an afterword by Martha Ann Selby that provides an admirable introduction to Prakrit literature in general and the Gathasaptasati in particular.